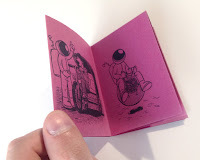 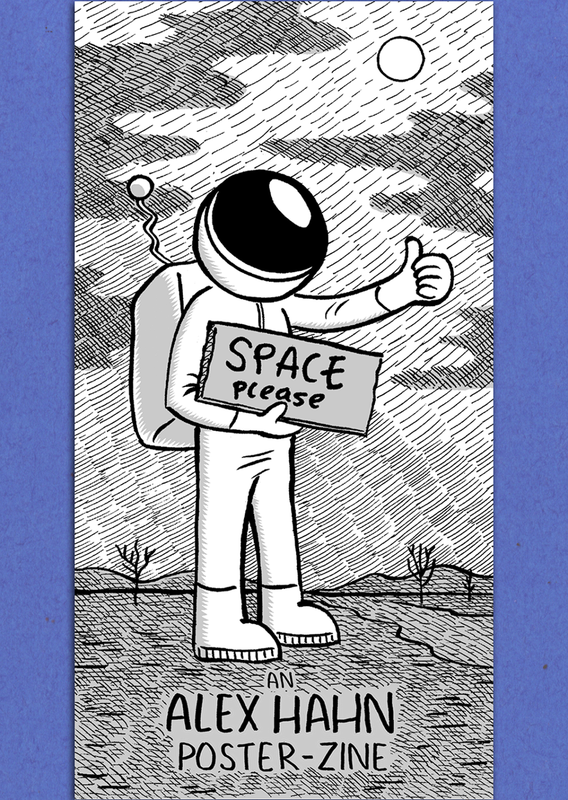 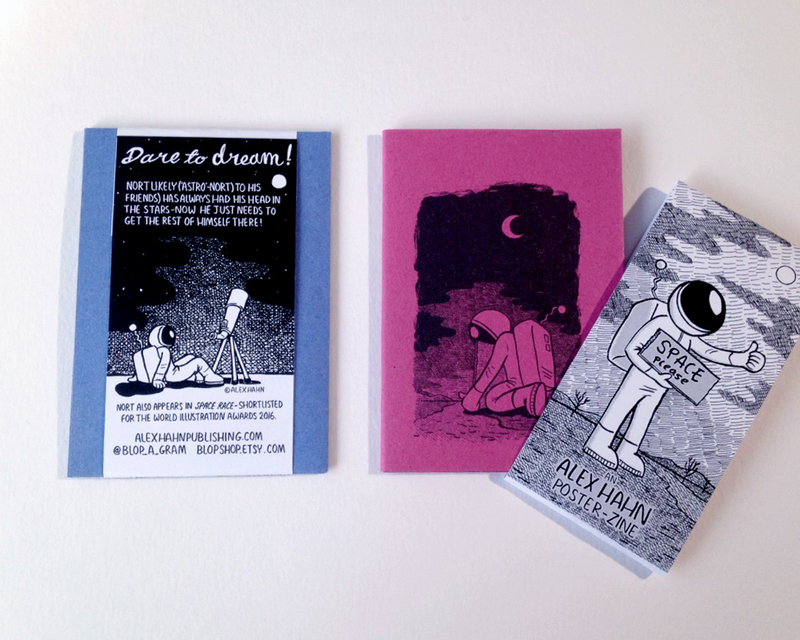 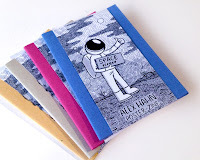 A charming zine featuring Alex's popular astronaut, 'Astro'-Nort, as he makes many hopeful attempts to reach the stars. 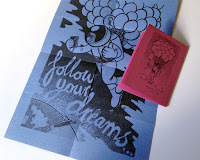 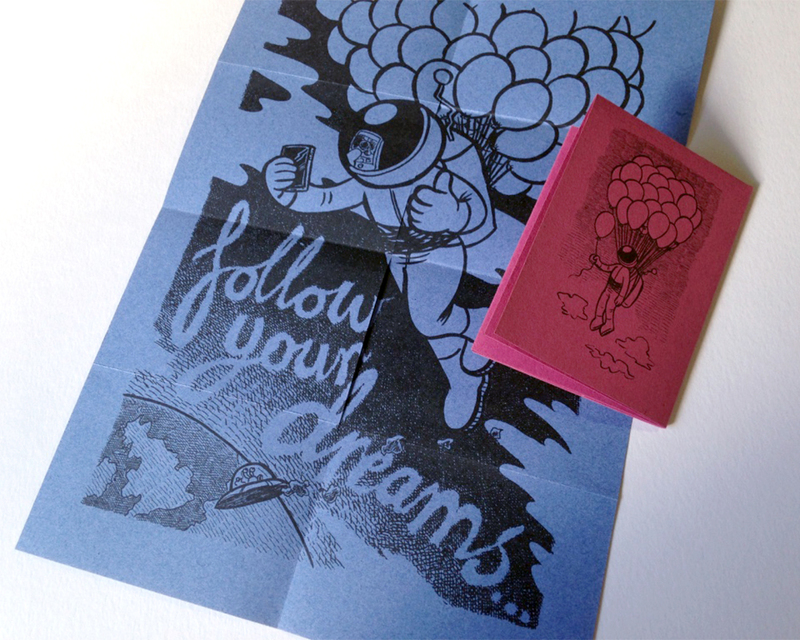 The little book folds out into a bigger poster, with the inspirational message: "Follow your dreams!" 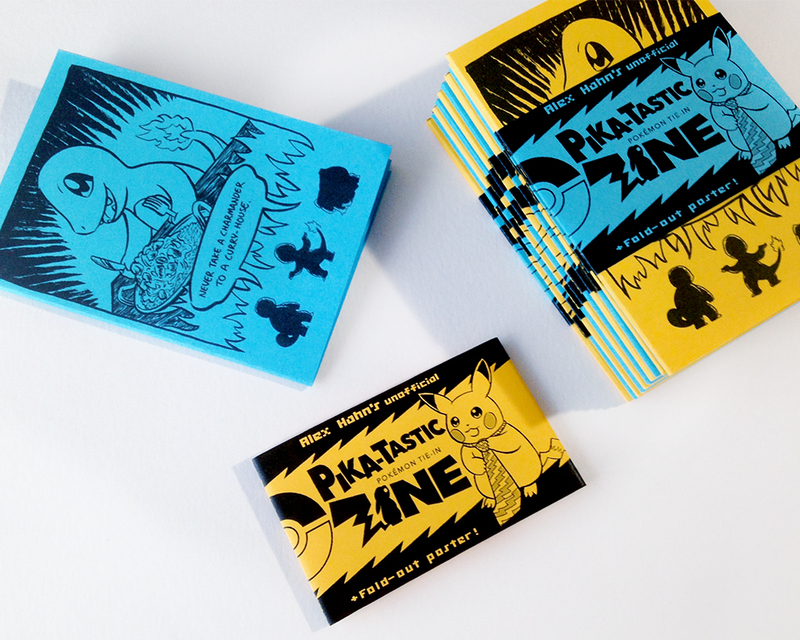 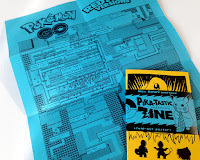 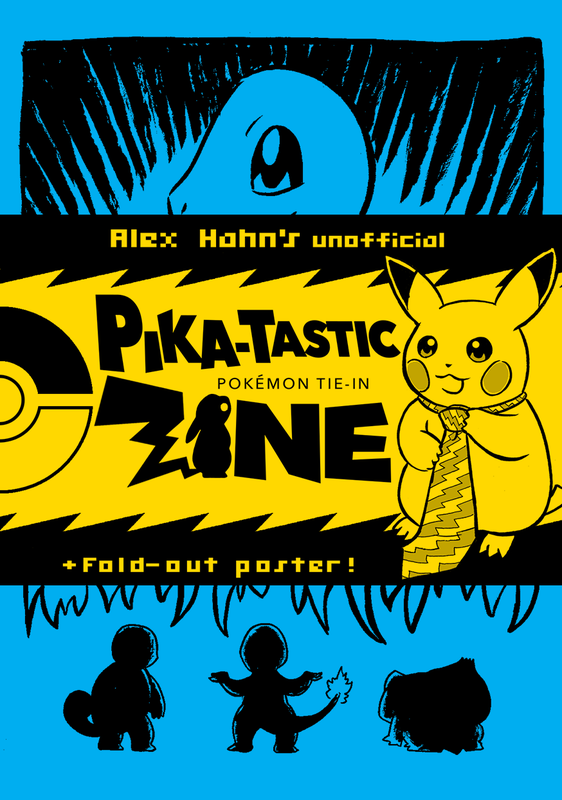 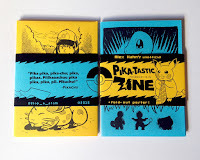 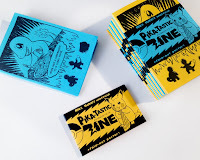 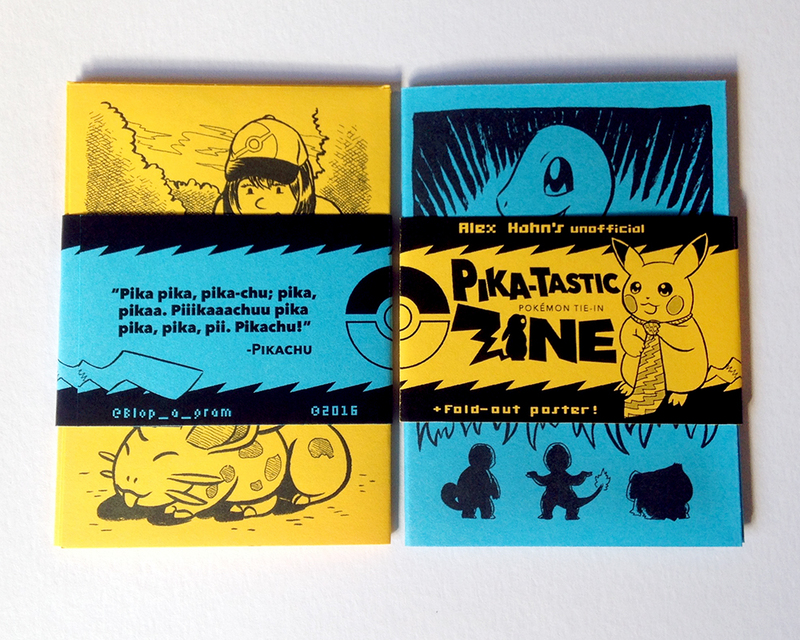 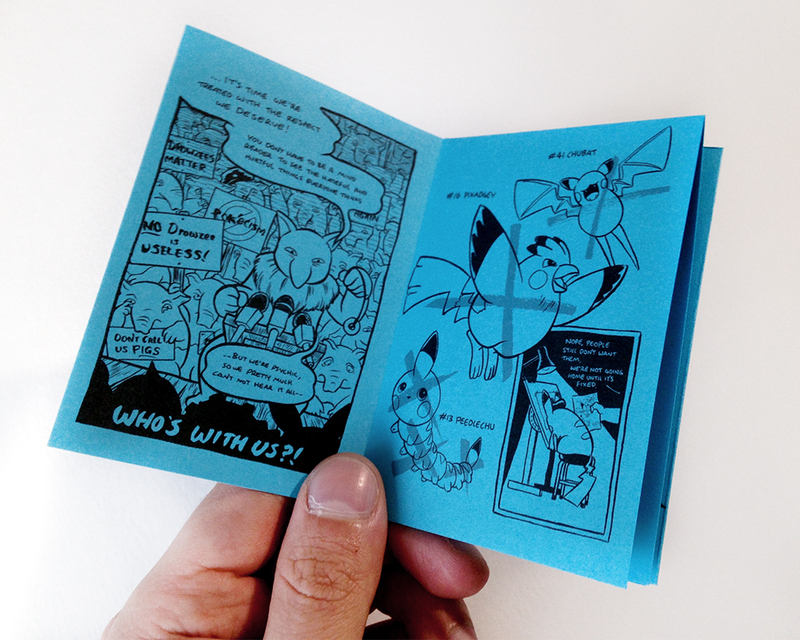 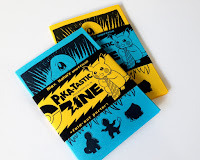 Fuelled by a summer of nostalgia, catching 'em all over again, Alex's PIKA-TASTIC zine features original, humorous, cartoons based around several of the popular (and less popular) Pokémon characters. 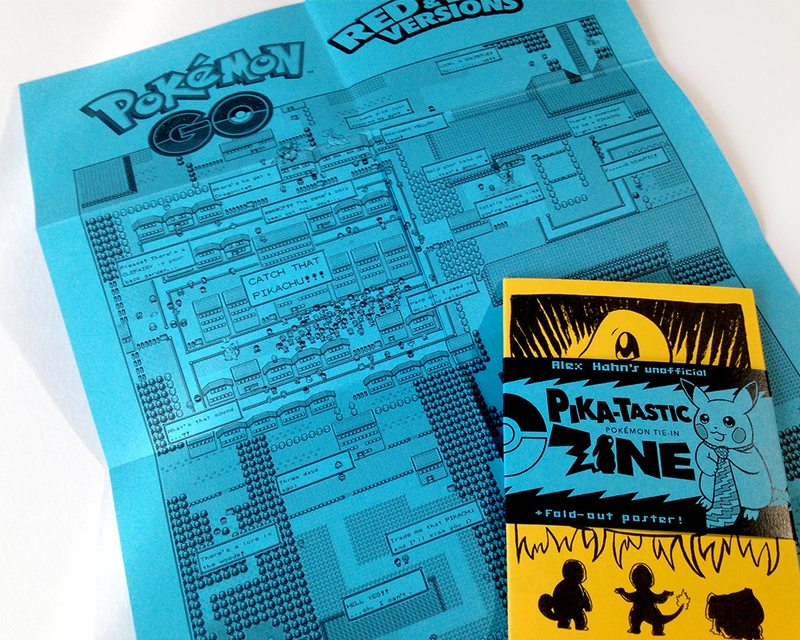 The A6 size zine unfolds into an A4 poster-size scene of Pokémon Go players set in the world of the original Red and Blue Gameboy games. Alex Hahn's zine makes competition shortlist! Great news: SPACE RACE (Three Zines by Alex Hahn) has made the shortlist for the World Illustration Awards! 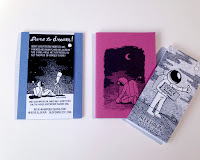 "Traditionally zines and comics seem to occupy the less respected end of illustration, so to see a self-published work recognised in this was is very encouraging." 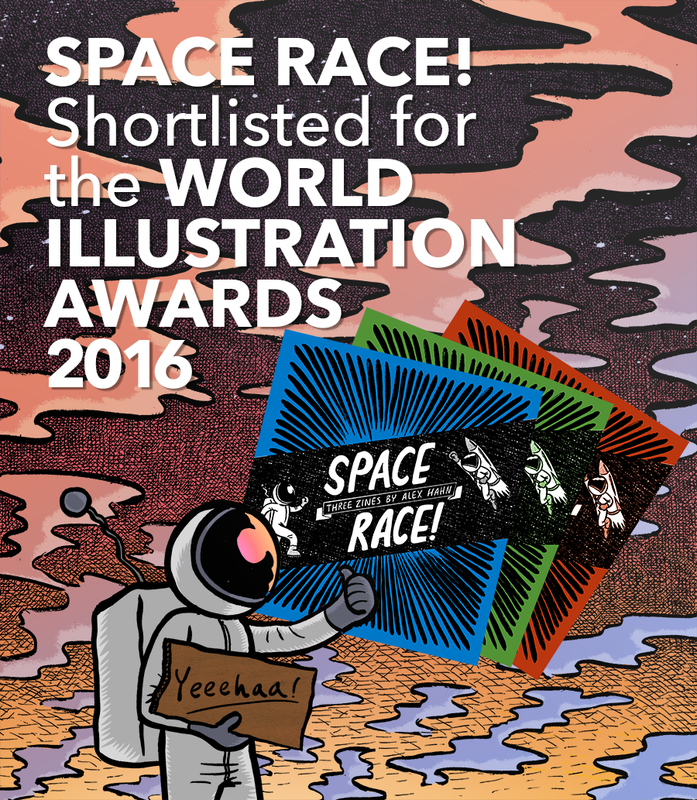 The World Illustration Awards are an annual honour organised by the Association of Illustrators, with the Directory of Illustration, now in its 40th year. 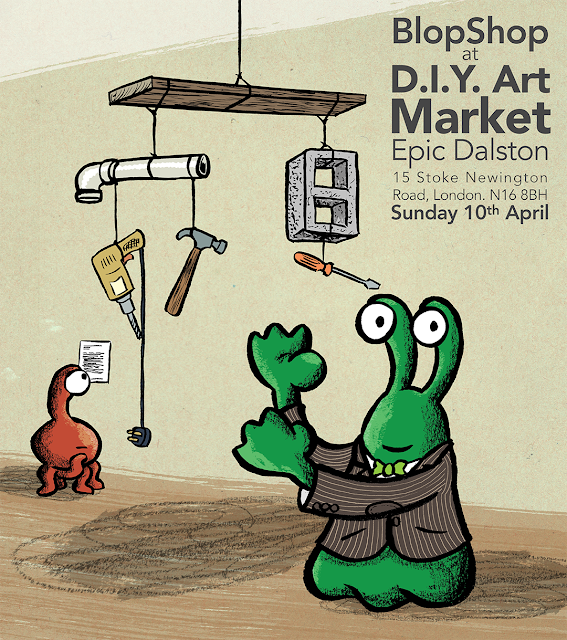 BlopShop has a table this Sunday at the DIY Art Market at Epic Dalston in London, if you're around, come check it out and get some awesome books! 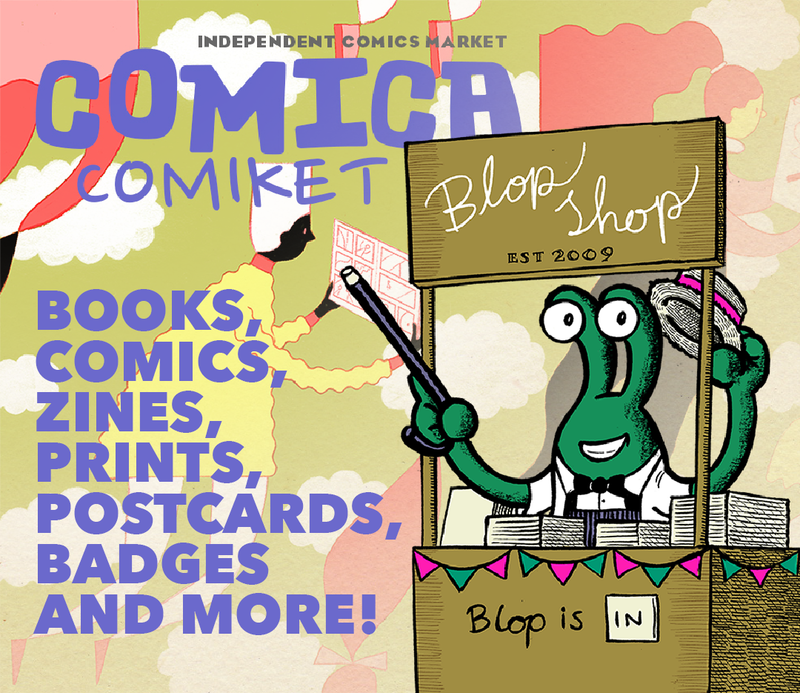 I'm also pleased to announce that for the fourth year running, BlopShop will be at the legendary Thought Bubble, in Leeds, alongside Dom McKenzie! 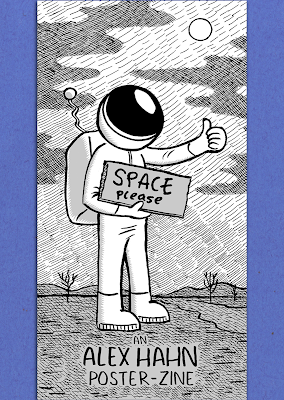 Come see us in November. Alex is pleased to announce the first booking for 2016 ...MCM's London Comic Con! This May, over the 27th, 28th and 29th, BlopShop will be returning to the Excel Centre in London. 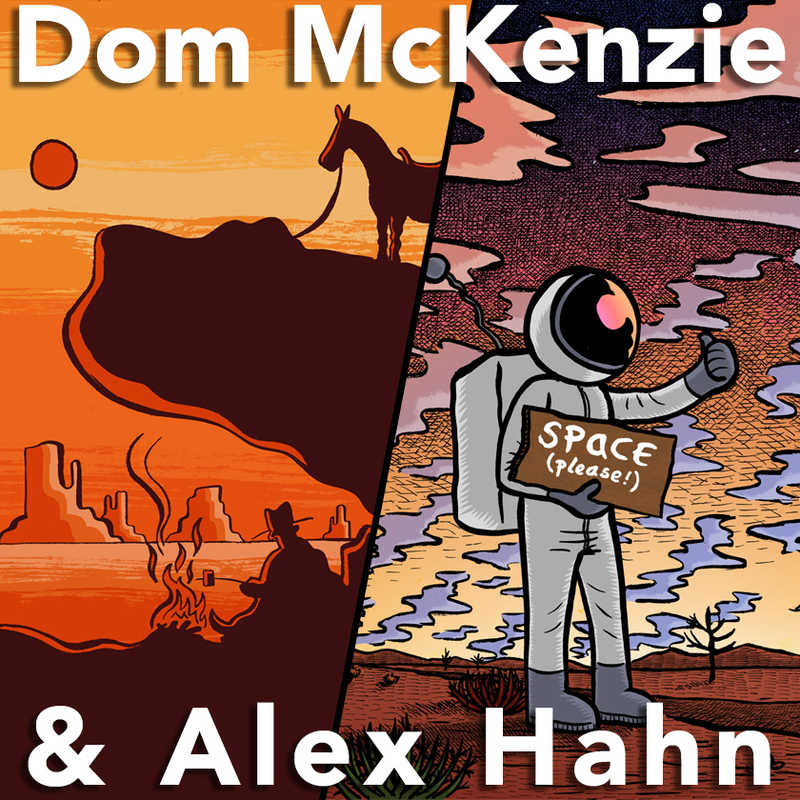 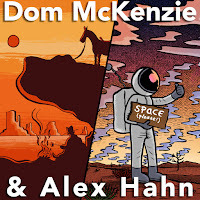 Alex will be joining fellow illustrator Dom McKenzie again, too: "expect to see all our great titles, prints, special offers and great merchandise...as well as some new surprises...come find us in the comic village!" 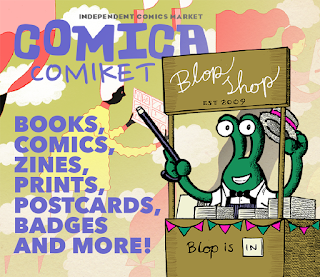 Look out for more news as the con gets closer, as well as more show bookings throughout the year.